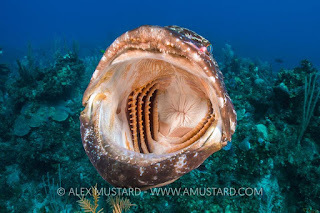 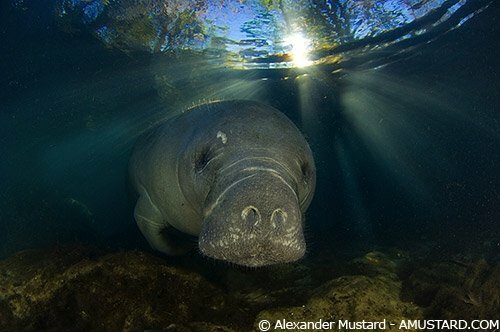 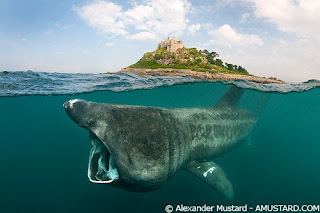 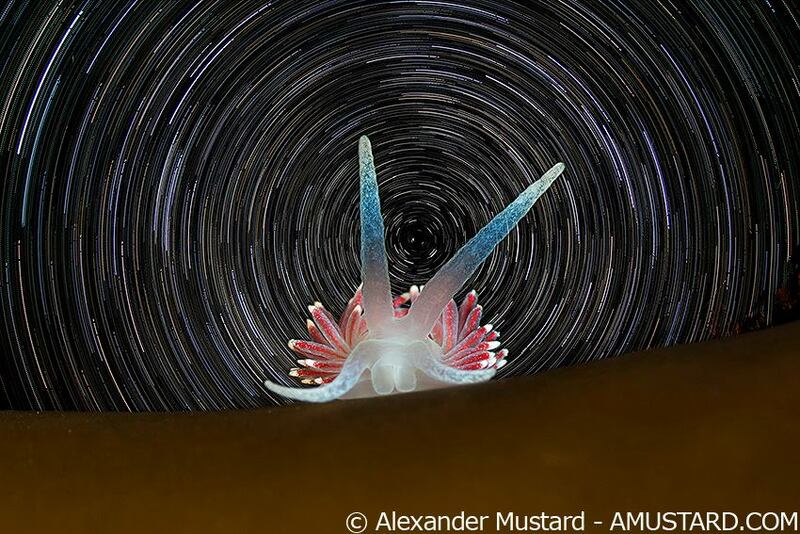 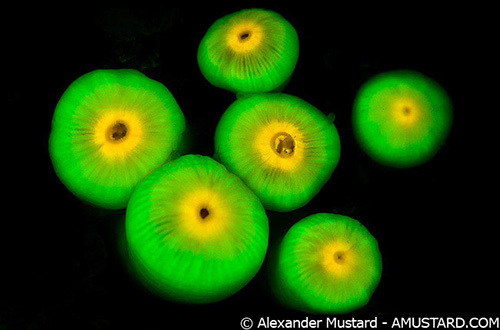 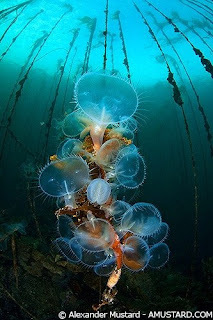 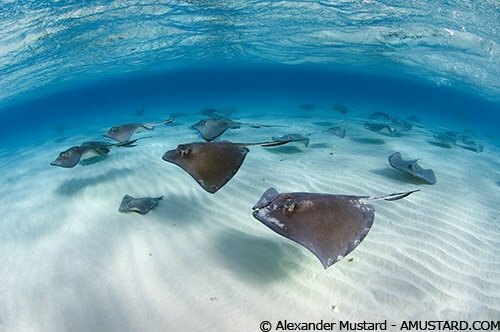 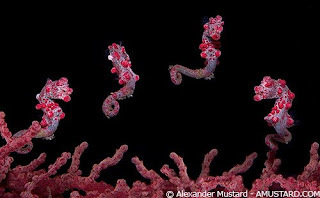 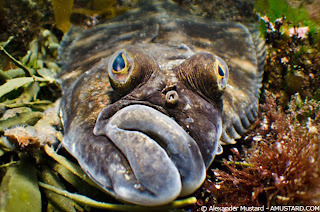 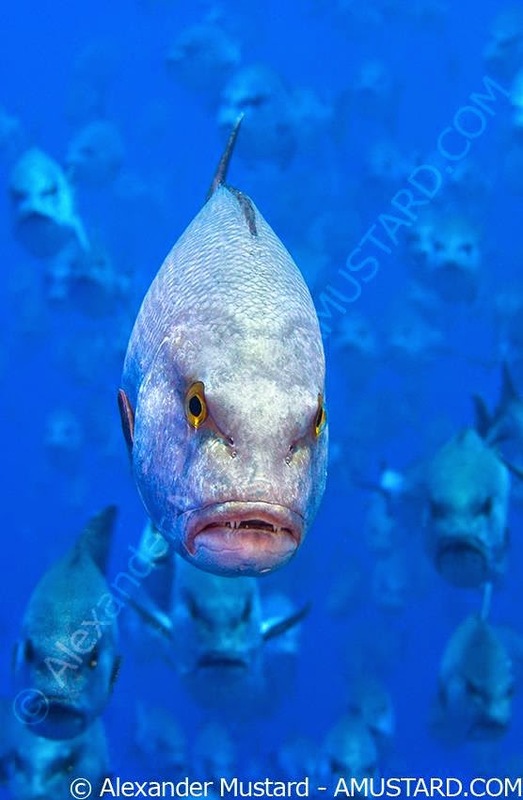 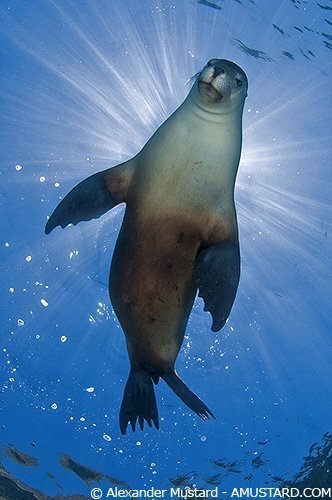 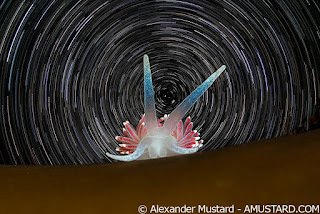 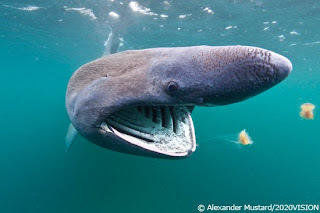 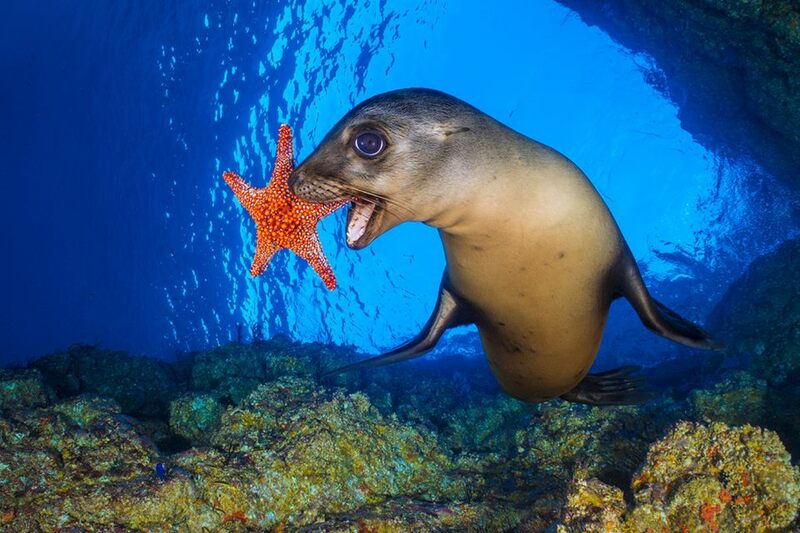 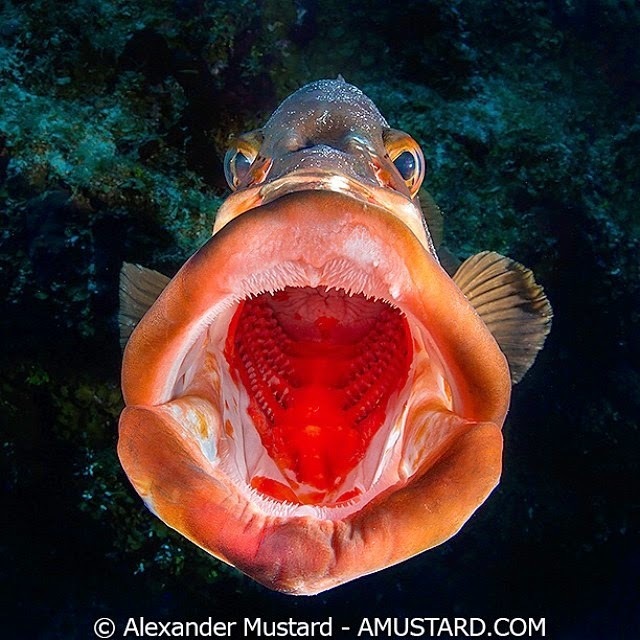 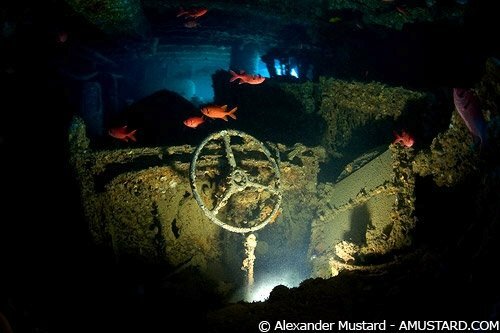 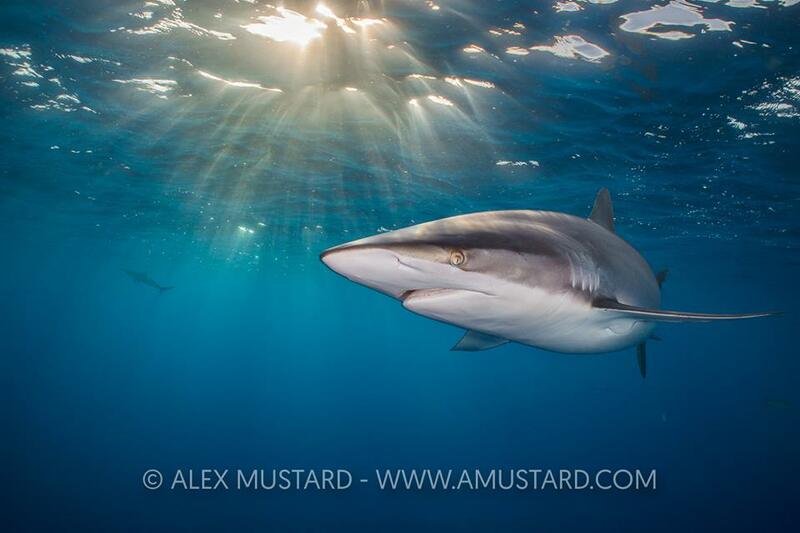 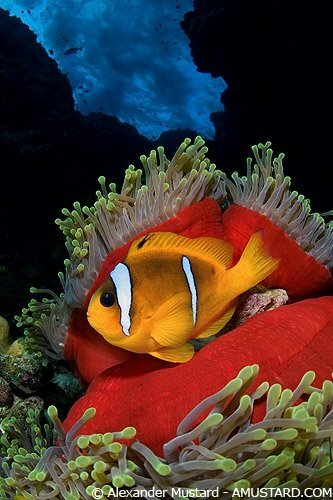 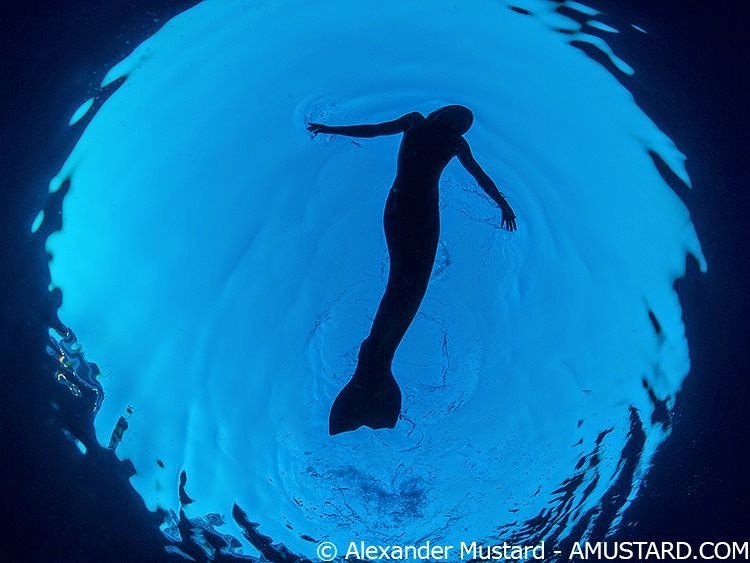 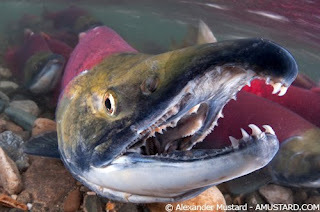 Dr Alexander Mustard trained and worked as a marine biologist, but since 2004 has worked full time as a professional underwater photographer and author. 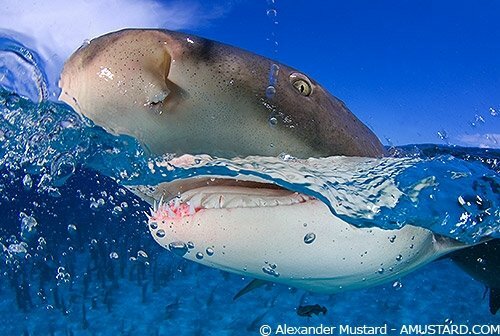 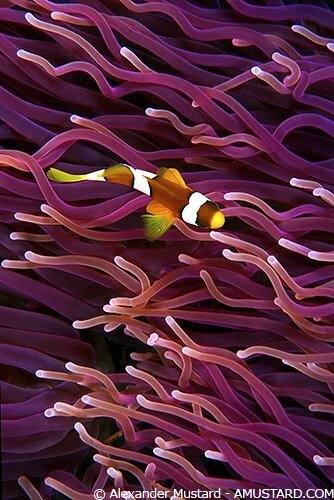 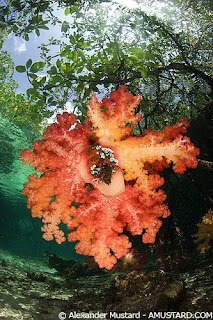 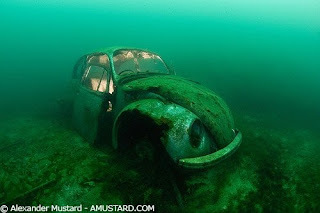 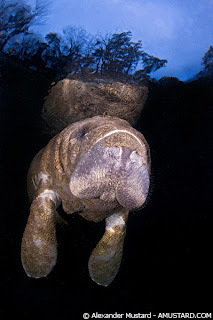 He took his first pictures underwater at the age of nine. 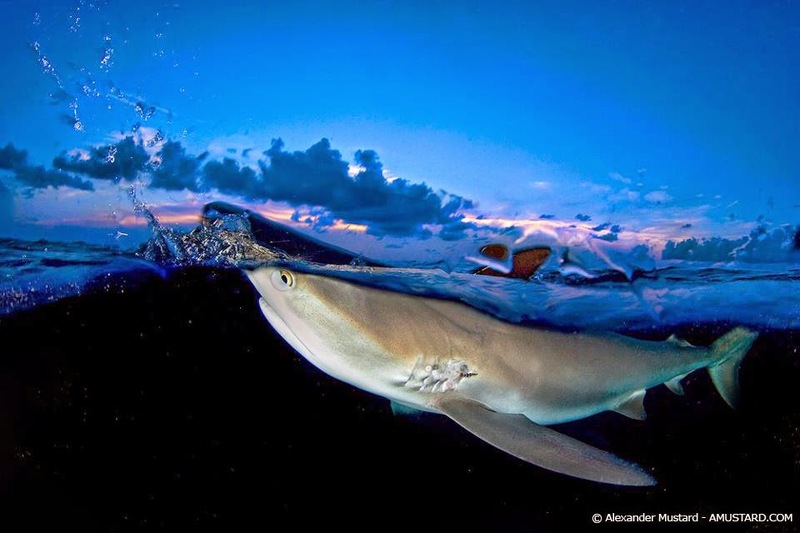 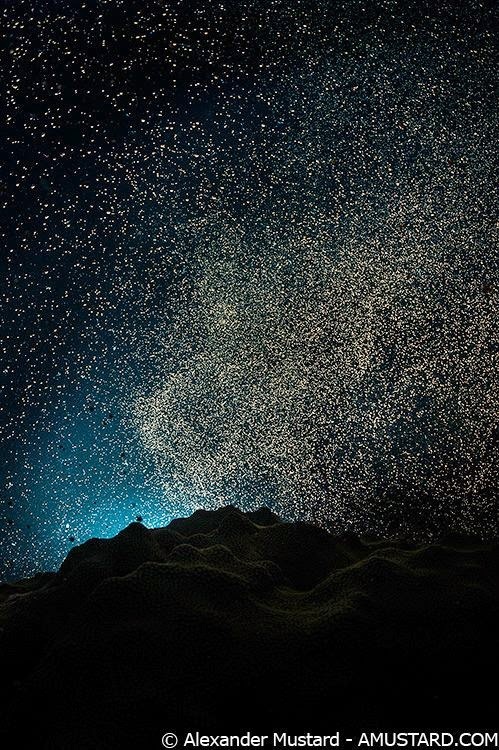 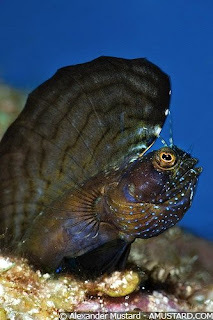 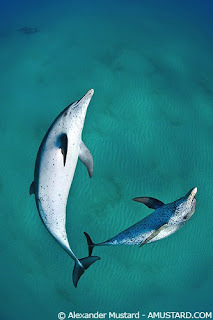 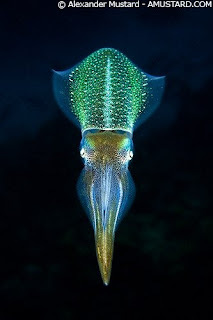 They were not very good, but over the years they improved and he is widely regarded as one of the most creative underwater photographers, whose works is admired and respected around the world. 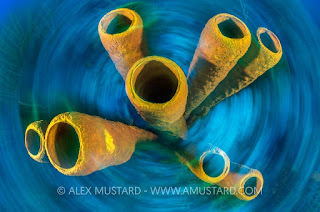 You can see a portfolio of his work here. 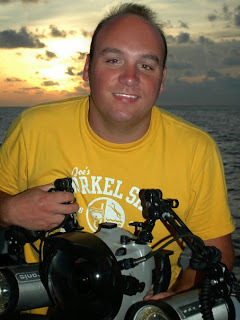 He Alex was born in 1975 and has been a certified diver for more than half his life. His images are known for their distinctive style that makes them instantly recognisable, often with bright, strong colours and simple, yet memorable compositions. 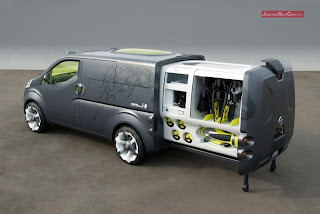 They have won many awards and have been widely published. Alex was an early adopter of digital and has pioneered many of the specialist techniques of digital underwater photography, such as the use of filters in available light photography leading to the invention of the Magic Filter, the fisheye-teleconver technique for wide angle macro photography, the use of strobe filters for adjusting water colour, and using telephoto lenses underwater. 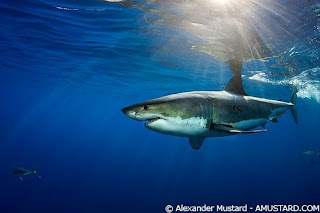 Moreover, Alex has not kept these techniques trade secrets, but has shared his ideas through numerous magazine articles and columns. 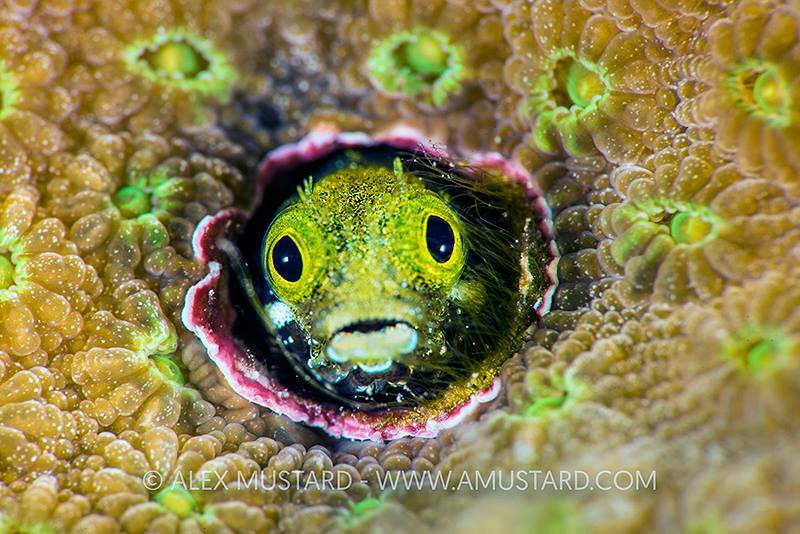 Alex has won many awards for his photography including being a multiple winner in the two most prestigious competitions for underwater photographers: the BBC Wildlife Photographer of the Year and World Festival of Underwater Photography in Antibes, France. 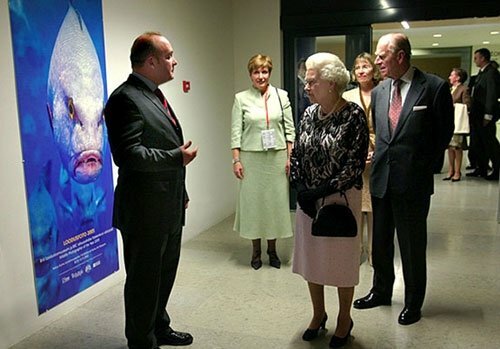 His photographs have been displayed in exhibitions around the world and a particular highlight was when Alex was asked to personally present his work to Her Majesty the Queen and the Duke of Edinburgh in 2006.